As someone with dietary restrictions, eating out can sometimes be difficult. When you are lactose intolerant, in particular, you may scan every menu searching for dairy-free options, only to find nothing to eat. Fortunately, Buffalo Wild Wings® offers several mouth-watering options without any pesky dairy. When you stop in at one of their nationwide sports bars, you can catch a game while enjoying a worry-free bite. This sandwich option is all about the meat. You can enjoy the pile of pulled pork topped with pickled red onions and veggie slaw. This delicious combination is drizzled with a honey BBQ dressing and served on a toasted sub roll. Every bite offers a savory punch without the cheese. The sports bar’s naked tenders are a grilled alternative to typical breaded chicken tenders. This dairy-free option comes with your choice of sauce or seasoning. Most of the sauce options don’t contain dairy, but skip the buffalo seasoning, parmesan garlic sauce, and Thai curry sauce. 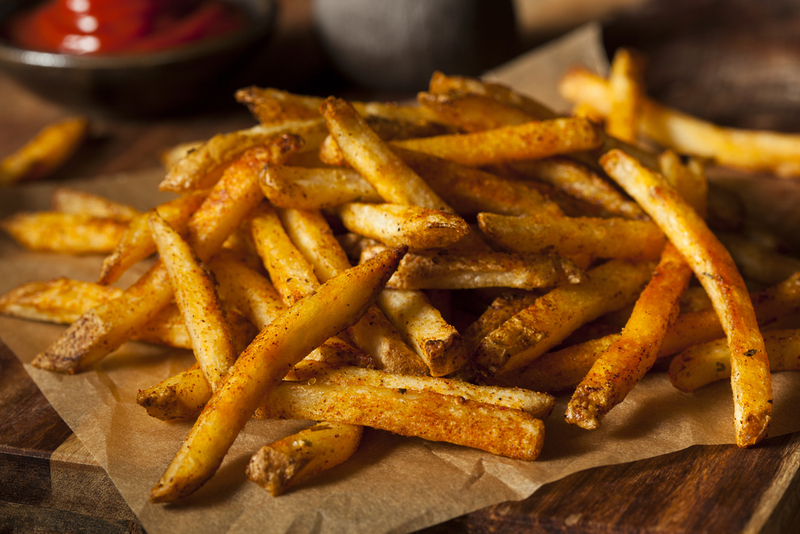 You can’t go wrong with French fries. This classic American food is perfect as a lactose-free side or a shared appetizer. But with Buffalo Wild Wings hand-cut fries, you might want to keep these all to yourself. When your friends are picking out appetizers, you don’t have to jealously watch while they enjoy cheesy dips. Chips and salsa are a tasty and refreshing appetizer option. The tortilla chips are served warm and the salsa is made in-house, so you are sure to enjoy every bite. Just because you are lactose intolerant, that doesn’t mean you need to skip your favorite burger. Simply ask the server to leave the cheese off of an otherwise dairy-free menu item. The Boston Lager Burger, Cheeseburger, and Big Jack Daddy Burger all include flavorful ingredients to satisfy without the cheese. By taking a look at a restaurant’s menu ahead of time, you can research all possible dairy-free options. With locations all around the country, Buffalo Wild Wings® makes this easy through their online menu. Once you arrive, you can order some food, kick back, and enjoy their fun atmosphere with friends. For more information on their menu options, visit their website or call (203) 794-9453 for their Danbury, CT, location.